The first set of AKATSUKI (a.k.a. Venus Climate Orbiter) images has been released and its available through this link. 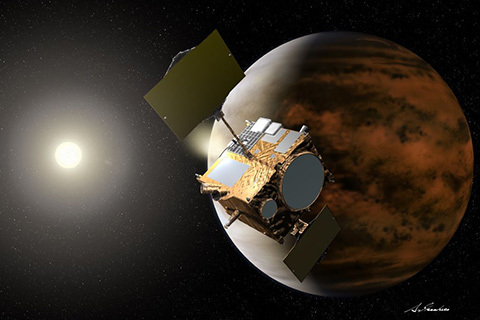 AKATSUKI is a JAXA mission and contains an Ultraviolet Imager (UVI) designed to map the ultraviolet contrast at 283 nm for observing SO2 and at 365 nm for the unknown absorber. Navigation kernels can be downloaded through this link. These kernels have been revised by NASA's PDS NAIF node, but mission data have to be revised by PDS Atmosphere node (requires two months more). Images are in PDS3 format but further revision has to be performed. Therefore users have to be careful when treating the data and they should watch out for new information.